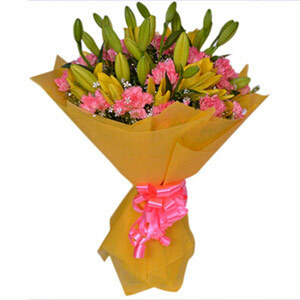 The green leaves in this arrangement are dependent on seasons. The colored ribbon is of good quality and can be used for various packing purposes. 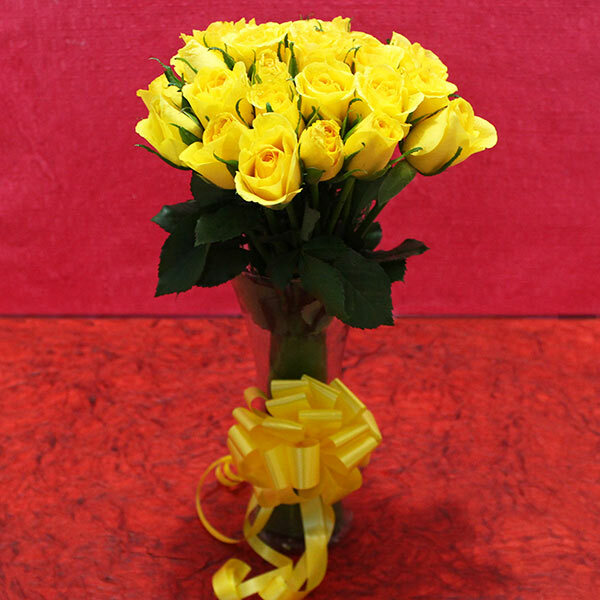 The color yellow is associated with the sun, making yellow roses a wonderful gift item to cheer people up. 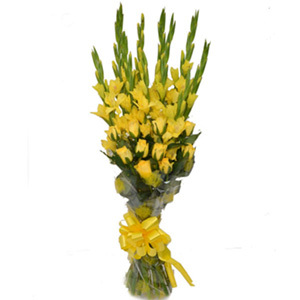 To start your bond of love with a true friendship, this beautiful and bright yellow flower glass vase arrangement is an excellent gift. 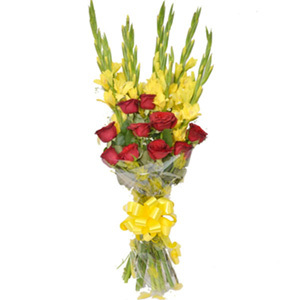 It is being designed intricately and beautifully with Yellow Roses placed in a glass vase and tied with colored ribbon. 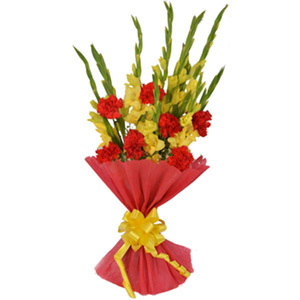 Buy this wonderful piece of art to surprise your loved ones anytime of the year.